Halloween dominates our thoughts — what to wear and where to park — but what about the days of All Saints or All Souls? November 1 and 2? 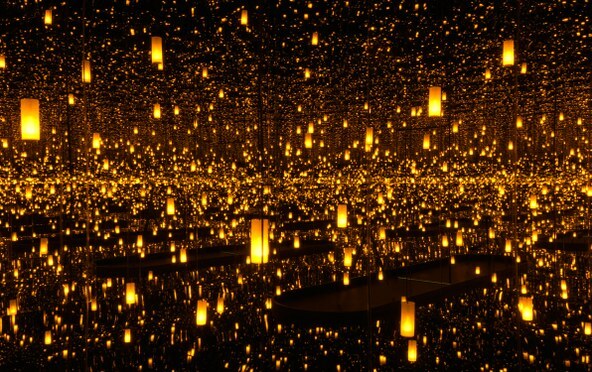 They are brought to mind by the social media busting exhibition of Yayoi Kusama: Infinity Mirrors at The Broad. The Japanese icon, still making art at the age of 88, has been revered for her determinedly individualistic work since the late 1950s. 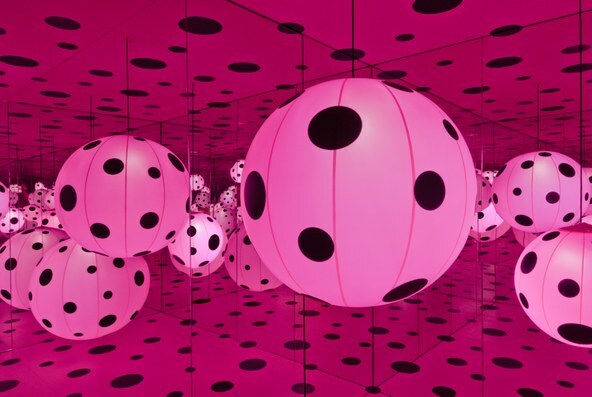 Whether performing naked the streets of New York, presenting paintings and installations of stuffed fabric phalli or covering canvases in webs of bright red or shades of white on white, Kusama has been an irrepressible and inimitable force. Courtesy of Ota Fine Arts, Tokyo/Singapore; Victoria Miro, London; David Zwirner, New York. For this artist, it seems less a choice than a compulsion. 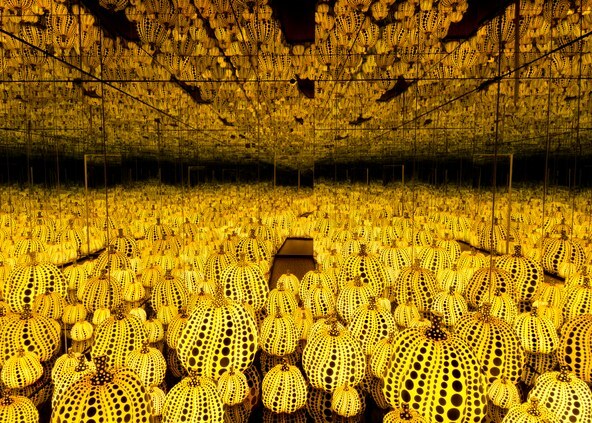 Kusama produces her work as a way of maintaining mental and spiritual balance. Having had hallucinations since childhood, by choice, she has chosen to live in a Tokyo mental asylum since 1977 with her studio not too far away. Her needs are met and she can concentrate on the issue that dominates her exhibition: the interconnectedness of everything and everyone everywhere forever. 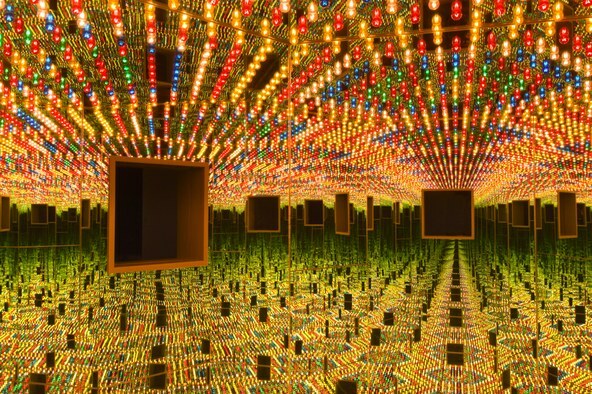 Though she has built room-sized installations since the 1960s, her Infinity Rooms led to her discovery by a post-millenium generation. Most rooms have the same directive: stand in the center of the mirrored installation to see yourself reflected, infinitely. These wrap-around dopplegangers were conceptualized by the artist for the "obliteration of self." The Broad owns "Infinity Mirrored Room — The Souls of Millions of Light Years Away" (2013) and found that it was the most visited work of art and, ironically, the most selfied. The single work required advance tickets or waiting in a long line for the 30-second opportunity to record the moment. 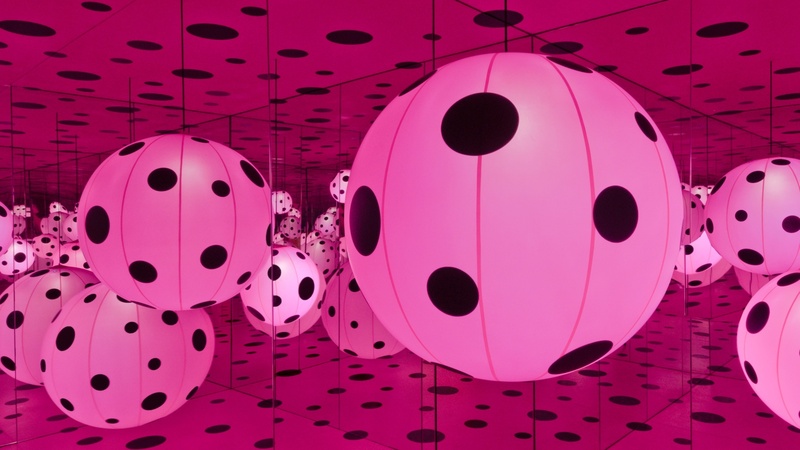 Kusama herself has embraced the ways that her art has proliferated on social media for even greater connectivity. Tokyo / Singapore and Victoria Miro, London. The survey was organized by Mika Yoshitake, curator at the Hirshhorn Museum and Sculpture Garden, Smithsonian Institution, Washington, DC, where it was met with lengthy waits and high ticket demand. Expect worse at The Broad, where the show is sold out. However, new tickets will be released daily on a first come, first served basis. In addition, there will be a number of related performances including the Joshua Light Show on November 1 and 2 — a flashback to a 1968 collaboration with Kusama at the Fillmore East. At $95 a ticket, it includes exhibition entry. There are a number of other performances and events scheduled for the next few months. Is it worth it? The Infinity Room experiences are, indeed, pretty special but also pretty brief. There is much more to be gained by lingering and enjoying the rest of Kusamas's truly unparalleled art. 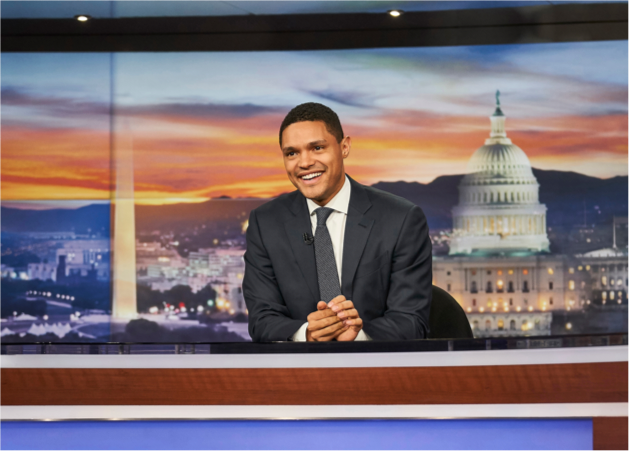 The show continues through January 1, 2018. 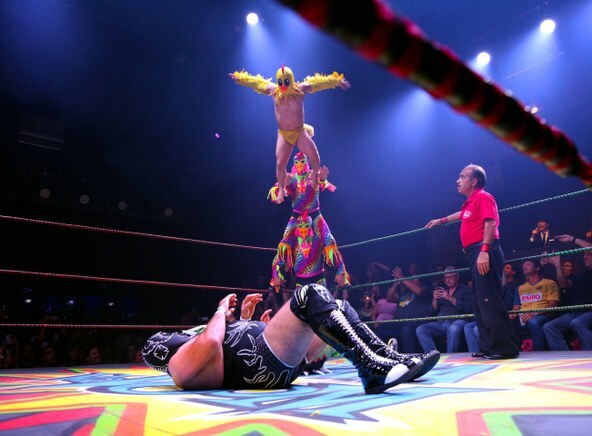 Next Tuesday is LA's most collectively observed holiday, Halloween, but the parties are starting right now, tonight, with Lucha Vavoom at the Mayan Theater downtown. It's what performance art often aspires to be, a mash of the unmixable. Mexican wrestlers, burlesque dancers, midgets and, this year, a performance by Peaches, routinely described as "gender-bending" and definitely explicit in her electronic rock music with songs like F—K the Pain Away. But here's the rub. Tonight is the last night at the Mayan. After that, it is at Riverside Municipal Auditorium and also a featured part of KCRW's own Masquerade Ball at The MacArthur.